Who is Ready To Go Outside? Cabin Fever has had us in it’s grasp for way to long. It’s time to bust out! Let’s get out and enjoy spring! Southern Recipe is ready for Cherry Blossoms, planning the garden, and the return of the BBQ- but be sure to take our pork rinds with you! We have a few ideas that will make you forget the winter blahs and have your family basking in the sun’s glow to work on their farmer’s tans! Here are our favorite ways to say “so long” to winter. Think about jogging and biking! Notice we said “think”. Southern Recipe is the perfect snack to ride shotgun if start pedaling or just ponder! Golfers, shine up those clubs and get out there! We already mentioned bbq’s, but what are you going to serve? Southern Recipe has the recipes that will wow! Take a Hike? Why, yes we will! And we’ll take Southern Recipe with us! What do you plan on doing this spring? Southern Recipe will fly kites, and play softball with you- but let’s stay away from the yard work until we’ve had a little fun! Spring is the start of so many things, including the return of fresh produce! During the first season of the year, the options to make a spring-cleaning of your plate increase and can make the transition much, much, easier. If you are thinking of changing the way you eat, why not begin when the flowers are blooming, the robins are singing and the increased sunlight puts us all in a better mood? Southern Recipe can also help! You better believe it! You already know our pork rinds are power packed with protein, low carb, and gluten free, but adding them to your favorite vegetables can help summer activities that much more enjoyable. Try this Layered Veggie Casserole for a different take on a hefty evening meal. Things will be lightened up thanks to the TastyKitchen.com– and the addition of pork rinds gives this dish the perfect willing protein punch. We still love this recipe from our friend Lisa Weidknecht– Pork Rind Crusty Veggies. It’s easy and will have you eating better in not time! And why not try something a little different? East meets West with this Stir-Fried Bok Choy and Pork Rind recipe from Fun Chinese Cooking. Spring Clean your diet with more recipes SouthernRecipe.com. We’ll be with you every step of the way! April 2nd marked the start of the 117th Major League Baseball season. Whether you watched the World Series Champion Cubs face off against the Cards, the Yanks play the Rays, or the Giants as they visited the Diamondbacks, we’re definitely ready for the excitement of another year! Grab your mitt, a cold one, and let’s get ready to root, root, root for our home teams, but we can’t forget to eat! 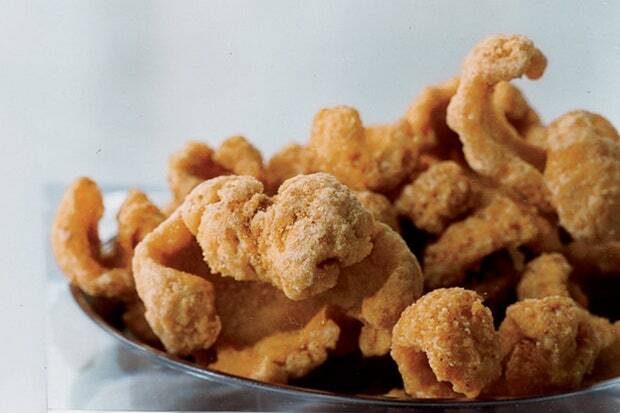 We have three recipes to share that show off our love of the boys of summer and pork rinds. These pennant-winning favorites will bring the team home and asking for more! It’s unlawful to be hungry during the ballgame. Make sure you stay fueled up with Southern Recipe!